One of the projects I'm working on is set at the turn of the century in the North-West Territories (NWT) in what is now officially the Province of Saskatchewan. (Not to be confused with the present day NorthWest Territories above the 60th parallel aka arctic.) The NWT is where the NorthWest Mounted Police were formed in 1873. Yes, those stalwart men in red serge and white pith helmets who were the forerunners of today's familiar Mounties. Last summer, I toured Fort Walsh in the southwest part of the province where the geographic anomaly, Cypress Hills, is located. It is over the border (and a bit) from the infamous Fort Benton, MT which played a role in the Mountie history. An event that helped shape the Canadian West was the arrival of Sitting Bull and his band, fresh from the June 25, 1876 Battle of Little Bighorn, which is also known as Lieutenant Colonel George A. Custer's Last Stand. Sitting Bull led his people across the U.S./Can border which they called, The Medicine Line. Major James M. Walsh, officer in charge of Fort Walsh, took, a sergeant and three troopers and rode into Sitting Bull's camp and demanded to speak to Sitting Bull. That began a relationship between the Mountie and the Chief that would last for years. I won't relay all the dramatic events here, because you can read about it on websites like www.historynet.com/sitting-bull-and-the-mounties.htm. In 1881 when Sitting Bull finally surrendered and returned to the U.S., a small band of Lakota refused to go back. They wintered in the Wakamow Valley in what is now the city of Moose Jaw. For 3 years during the 1980's I was posted to the airbase at Moose Jaw. At that time, there was a Wild Animal Park in the Wakamow Valley where we could go see cougars, bobcats, bears, etc. Hubby loved to visit in the evening when the animals were prowling. He could make the bobcat growl just by the way he looked at him. It was a private park, however, and the owners sold the land and shipped the animals away. For decades, the beautiful valley lay abandoned, in disrepair, and open to vandals. That is all changing. 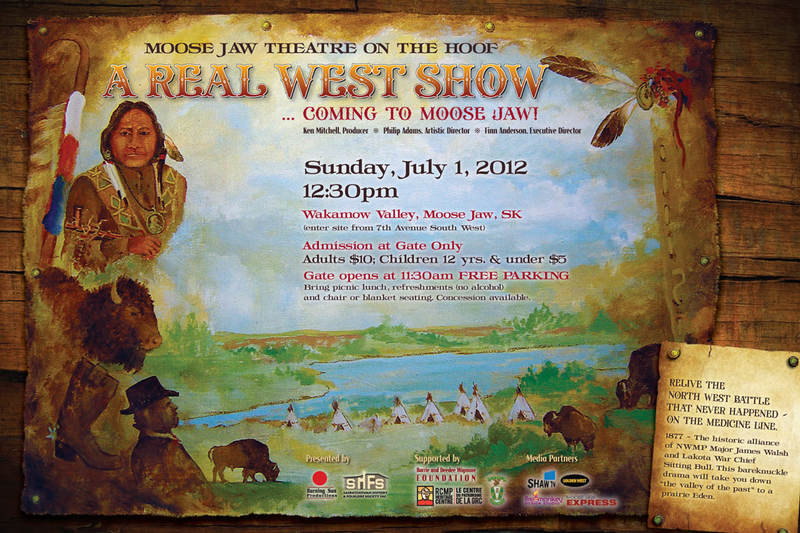 I'm thrilled to announce that on July 1st, Burning Sun Productions is using the natural ampitheatre of the Wakamow Valley as the setting for the live Theatre on The Hoof production of A Real West Show. Based on the beginnings of the NWMP and their relationship with the American guests who crossed The Medicine Line, the production will show the splendor, gravity, and bravado of that historic era. The Wakamow Valley clean-up has begun. Restroom facilities are being constructed. The actors are learning their roles. Horses are being chosen for the production as well as to pull the wagons that will transport guests from the parking lot, across to the open-air theatre. I found a video to give some details about the NWMP/RCMP, and their uniforms. It's quite interesting, although long, but the final couple minutes are talking about the Legion uniform and can be missed IMHO. Have you been to a live production like this, or one of the Passion plays, etc? What are your thoughts/memories of the experience. 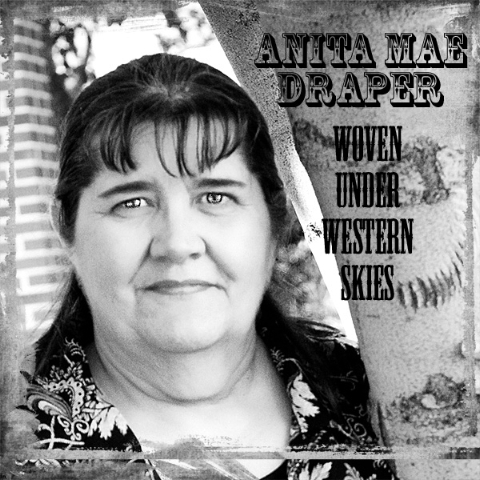 This super cool Anita. I will be in moose jaw on July 5 - too late to see your show, but i know the area well, having grown up near Moose jaw. Are you going to the Writer's conference in MJ? Hi Tracy, I'm not even aware of a writer's conference there. I'm actually on the road today after spending the weekend at a Sask Romance Writer's retreat in Muenster, SK. No one here's mentioned it either. And about a week ago I came out of a 5-week long expedition in my cave and so that's my excuse as well. This is wonderful, Anita. I'm glad to hear of any efforts to represent the natural and social history of an area and 'shows' the both teach and entertain are a great way to do it. I have been to the Hill Cumorah Pageant twice. This is the huge production put on locally by the Mormon Church to show their history and is set on the hillside where Joseph Smith is said to have received the tablets (book of Mormon) from an angel. It's a spectacular production that brings lots of tourists and Mormons to the area (but I will leave any discussion on Mormonism out of this comment). Another example of this is the show on Roanoke Island in NC where they depict the 'lost colony' (first English settlement). I haven't seen it because it's only performed in the summer season. Keep us informed and I look forward to your reports on it. Anita, I never knew that Sitting Bull took his tribe north to Canada for a time. I find it all fascinating and the play sounds wonderful. We have a live play that runs every summer pretty near to where we live. It's called Tecumseh and is about the Indian chief who tried to unite all the tribes in Ohio to keep out the white men. But fell in love with a white woman. (I'm not sure that last bit is entirely factual but it makes for lots of conflict!) We enjoy it. Even the kids who prefer the battle scenes. Morning, Debra. I haven't heard of either of those productions and am glad they're going on. Lisa, the story of Tecumseh is vaguely familiar. I believe I heard it when I attended school in Ontario. That's a great story, and I can totally see it happening. I would really enjoy watching that show, including the fights - for research purposes, of course. We learn at school that Sitting Bull 'hid out' or took asylum in Canada for several years after Custer's last stand. When I started researching the early years of the Mounties, I was beyond thrilled that so much of their early years happened within a few hours drive from me. 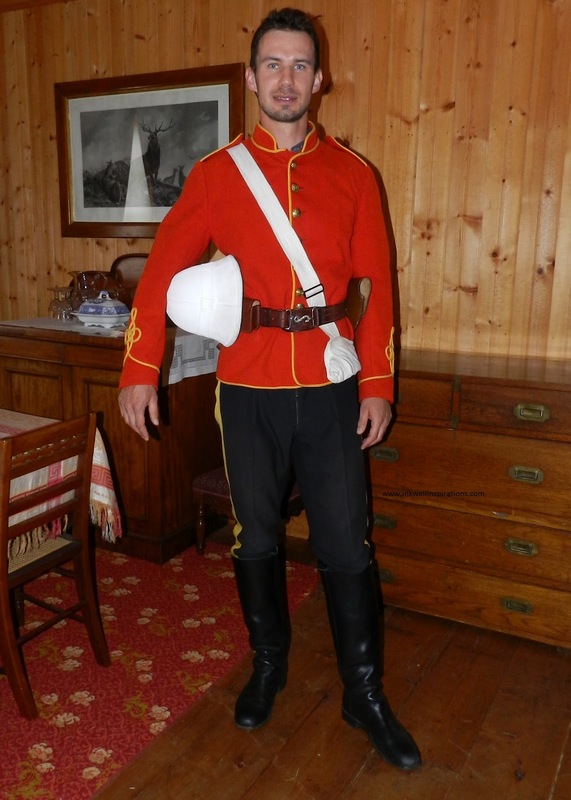 The huge Mountie museum is in Regina, an hour away. But I hadn't realized that Sitting Bull came here as well, and that there is much of his history in area museums. Now I have to decide if the Mountie books I set in the Fort Walsh and Wood Mountain areas will include the famous chief. It sure adds a new dimension to my ideas. Fascinating post as always Anita. I remember your posts about your Mountie research. The whole Sitting Bull information is new to me and very interesting. It's too bad he didn't stay in Canada - the US government history of how it treated Indians is a bit awful. I have gone to the Roanoke Island production about the Lost Colony. It's quite interesting. The big thing of note is that there is always a scene showing Virginia Dare, the first English child born in the Americas - the granddaughter of the Governor. Most of the time, the "baby" is usually a doll - but some special nights, an infant from the local community gets to play the role of Virginia. I was lucky and got to see a performance with the "live" baby. It's a big deal for everyone involved. I wish I could see a production of the Theatre on the Hoof. it sounds grand. Oh, how cool is THAT? That would be great to see. And share your Mountie pics. Hey DebH, sure is nice to see you this morning, too. I love it when they use live babies, even in Christmas pageants. It adds so much realism to the story. Although Canada didn't order Sitting Bull and his 5,000 followers to leave, their presence was a major worry due to the food situation. Historynet.com says, 'In 1876, the Canadian government had estimated that there were enough buffalo to feed its western Indians for at least another five years.' That wasn't including the American Sioux. Canada's policy of providing asylum and care didn't change, but they were worried since the buffalo was disappearing at an alarming rate in both countries. Soon, not only the American Sioux, but the Canadian First Nations were on the verge of starving. I believe that's when Sitting Bull finally went back to the U.S. - when he realized Canada wasn't holding back food - there simply wasn't any for anyone. And Deb, thanks for bringing this up because the proposal I recently submitted is partly based on this fact. By 1885, meat in the Canadian West was in short supply which caused all sorts of drastic and interesting consquences. Yes, DeAnna, I already have a History day booked to blog about it. I love talking about the Mounties. I'm actually on a research trip right now and will blog and post pics of that too. Well, I have to pack up and leave St. Peter's Abbey where I've been on a writing retreat. I'll check in on my iPhone throughout the day and when I get to my hotel room tonight. - a visit to the Saskatchewan Railway Museum. Tonight I'm going to a dramatic presentation of Redeeming Love by Francine Rivers. Hope it's good. I've also been to a number of historical reenactments and medieval plays. Anita, those are some...inspiring pictures of the Mounties. DebH, Gina texted me and I gave her what she needed. Dina, you've probably gone to see the dramatic presentation and you're home again. I'd love to hear your views on it. Perhaps you can blog on a Thurs or Sat sometime? I specifically went to Fort Walsh for photos of a NWMP corporal that I could use as inspiration for my Mountie story. I was very disappointed when I arrived because the first 2 in uniform were youngsters - mid-to-late teens on a summer job program, short on stature and not an extra muscle that I could see even with rolled shirt sleeves. They didn't look anything like what I imagined for my hero. There was another man, older and much heavier, who didn't appeal to me either. And then 2 women, but I didn't need heroine pics. Everyone was in costume and they were very nice. They gave JJ and some other kids mock red serge jackets, signed them up as troopers, and marched them around. JJ gave me that I'm-too-old-for-this look but was a very good sport about it. Then I glanced toward the staff quarters and there was Michal. I explained who I was and what I wanted. He didn't laugh at all - was very serious in fact, and suggested we start in the quarters. I have about 2 dozen photos of him in a variety of poses in different buildings wearing the blue work dress, the red full dress, and the navy peacoat uniforms. CJ, about The Lost Colony production, would you jump at the chance to see it again in its entirety? I'm very worried about The Medicine Line being rained out since we've had so much this spring. Anita, this is so, so cool! I would love to go there. I'm praying it doesn't get rained out. You'll have to go and report back to us. Chances are good it will be a beautiful day. Time will tell and there's only a couple weeks left. Yahoo!!! Tracy, if you're still reading the comments, can you please email me regarding the writer's conference in MJ? My daughter was in "The Lost Colony" production two summers ago, when she played Dame Coleman,a fiesty midwife who gets quite involved in some of the battle scenes. CJ, I am sorry you never got to see the second act: it's very powerful and poignant. "The Lost Colony" roster of actors and staff are quite a Who's Who of the theatre community, including Andy Griffith long before Mayberry and Terrance Mann. If you have the opportunity, I would strongly urge you to go!